If you are a native Urdu speaker and you live in Canada, you have probably noticed how difficult it is to find really good TV channel packages including your language channels. However, the solution has been specially designed for this as YuppTV have a package designed exclusively for you, totally in Urdu. 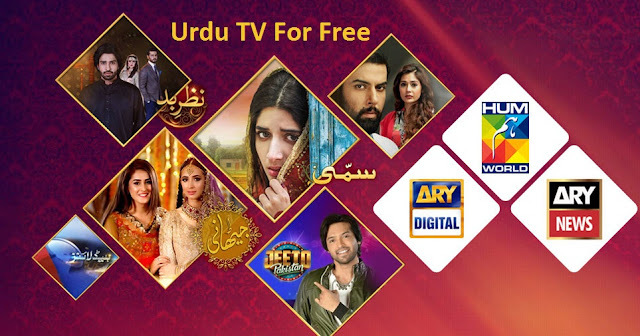 From news channels, to entertainment and sports you can find in the free Urdu TV channels package. Some of the included are:ARY Musik Live , ARY News Live, Hum World, Paigam . Hum TV is the most popular and on demand Pakistan TV channels which airs array of popular drama serials. This is just a small sample of what you can check in the Urdu TV Package. You will find out there are more added perks to it! YuppTV application supports a large number of devices, so do not worry. The one of the most popular in the market for Live Indian TV in Canada is Yupp TV. The complete list includes more than 100 channels, and believe it or not, most of these can be easily played on any smart device. There are a variety of plans available for your choice, and you could choose the one that suits your preference or your budget. The most basic plan for Canada with Urdu channels is currently free,you just have to register and watch free. To start enjoying them just follow the steps inside our website; The process of registration is quite simple. So do not wait any longer, join the plethora of options available to you, and pay a comfortable fee that is totally worth it. Your friends and family who are part of the native Urdu community will 100% enjoy the Hum TV drama serials! All from the comfort of your home.